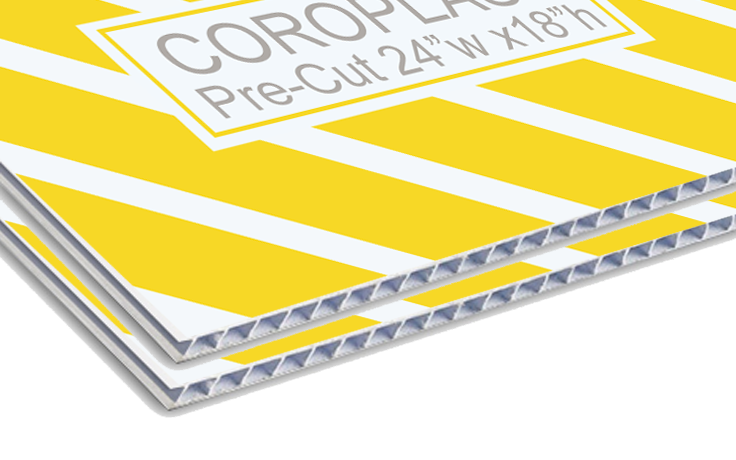 Coroplast is short for corrugated plastic and is an economical way to print temporary outdoor signage and yard signs. 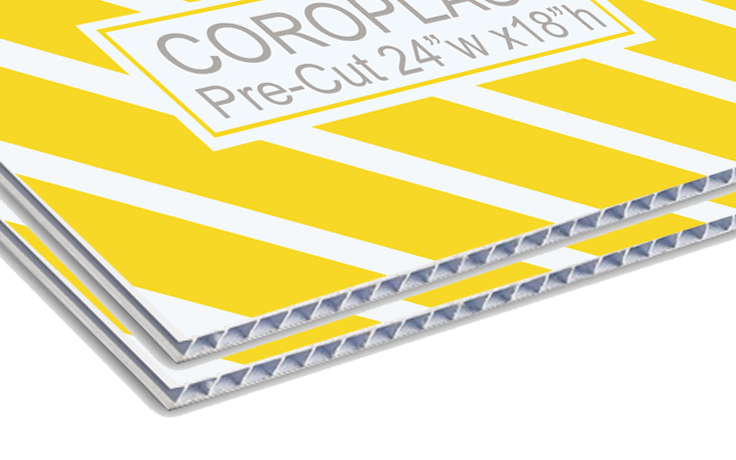 Coroplast is made of plastic and is relatively durable. It is probably the best option for temporary outdoor signage. Graphics must have a 1/4" White Border for Double Sided All Around for Pre-Cut Sizes. 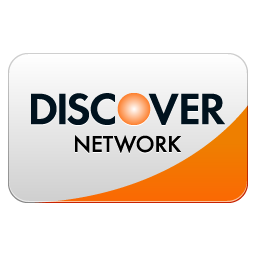 If you need to have edge to edge graphics with no borders, please order Custom Sizes.